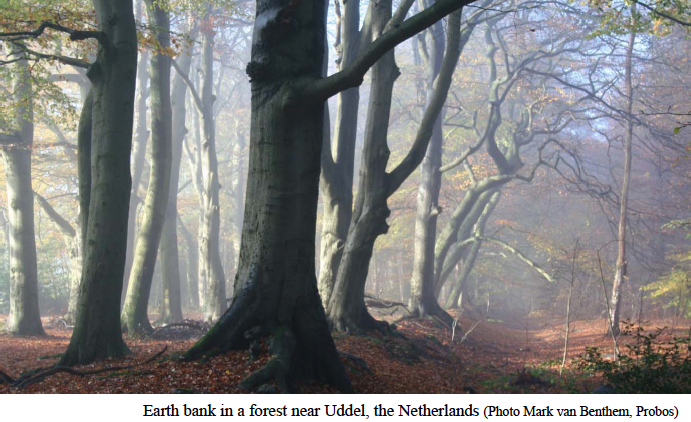 Stichting Probos has just published an extensive guide on cultural heritage of forests in English, German and French. The goal of the guide is to transfer the enthusiasm and passion for the subject and the knowledge that has been developed over the last decade in the Netherlands, to forest managers and forest owners in other countries. industrial or pre-industrial coppice, coppice with standards, pollards, shredded or other ‘working trees’ for the production of acorns, fodder, tar, resins and other products. Across Europe these kind of valuable forest sites and historical artefacts are being damaged in routine forest management activities. This usually happens unintentionally due to a lack of attention for cultural heritage in forestry and a lack of experience in integrating cultural heritage in forest management. Forest managers and forest owners are in general not aware of all historical artefacts that can be found in their forests. 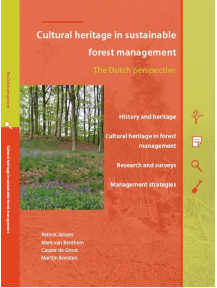 In the Netherlands, cultural heritage has received considerable attention from forest managers during recent years. Research is being conducted into the history of many different forest areas and the cultural heritage is subsequently being mapped out. Historical forest landscapes or individual historical elements are also being restored in many different places. Stichting Probos has been devoting a great deal of energy into highlighting this cultural heritage and transferring knowledge to forest managers and other people who are directly or indirectly involved with forest management in the Netherlands. It is now time to share this knowledge with other countries. The main target group of the guide are forest managers and other people who are directly or indirectly involved in forest management, including researchers, policy makers, students, volunteers and such like. In order to make the guide as recognizable as possible for forest managers in various countries, examples from other European countries are presented. The guide is mainly about forests. It goes without saying however, that the information can certainly also prove relevant for research into thehistory of other natural areas and even the current agricultural landscape. The guide has been produced with financial support from the Collaboration Fund of the Programme for the Endorsement of Forest Certification (PEFC), the Province of Gelderland (the Netherlands) and Stichting Probos. Probos enhances the know-how and awareness on these issues in the forestry and timber sector in the Netherlands and abroad.